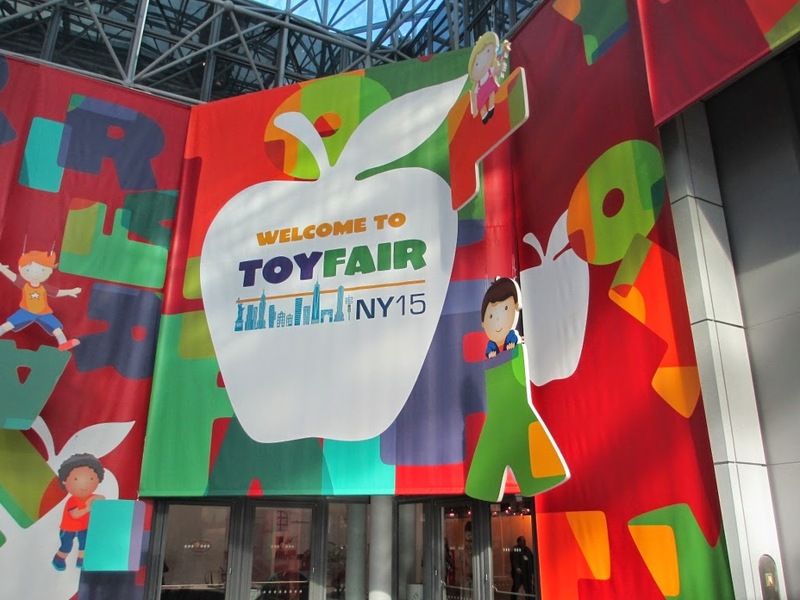 Toy Fair New York is a huge event. 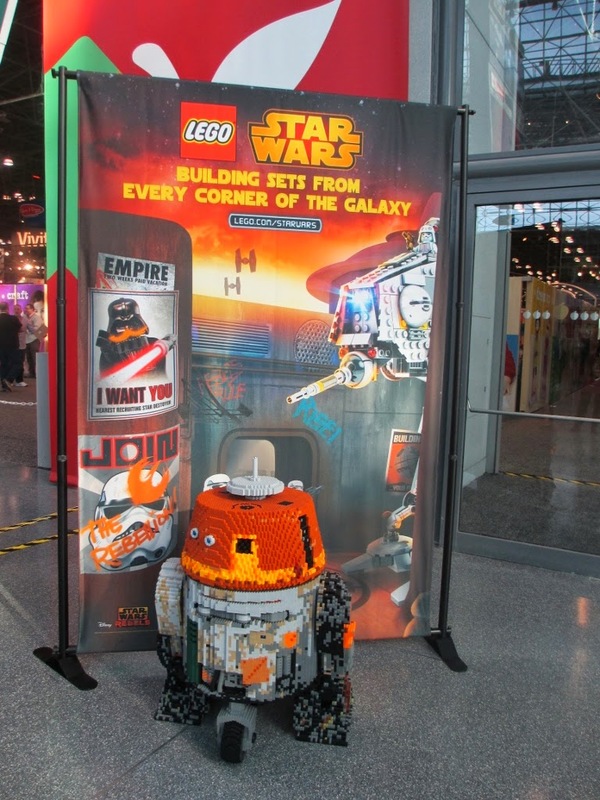 To try to put it in perspective the space of over 7 football fields displayed hundreds of thousands of toys. Like thousands of other brave souls I was not deterred this freezing, windy, snowy Valentine’s Day/Presidents’ Weekend - I made it to Toy Fair for two long, exhausting, exhilarating, wonderful days and I took almost 500 pictures. Now I am trying to distill it and develop a plan to write all year long about what I saw. 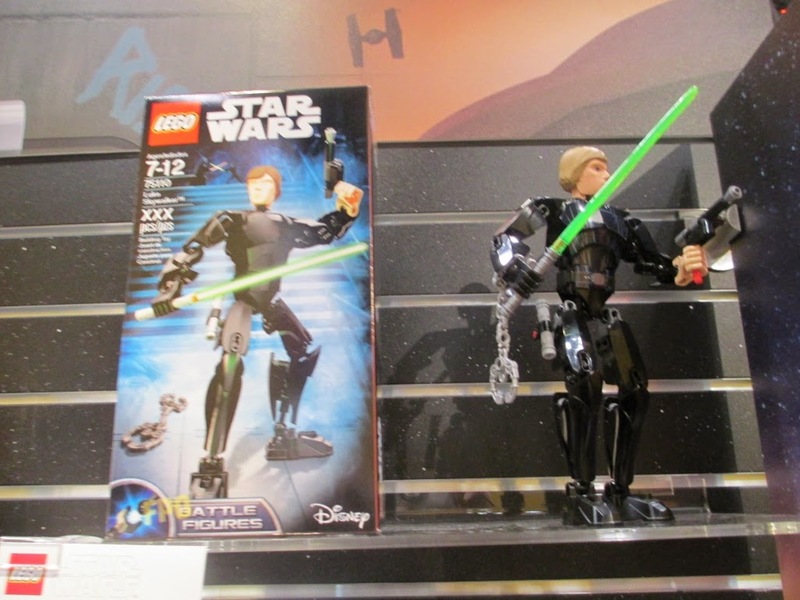 Much of what is displayed at Toy Fair is not released yet and will be available later in the year and so I have material to take my through the Christmas season. 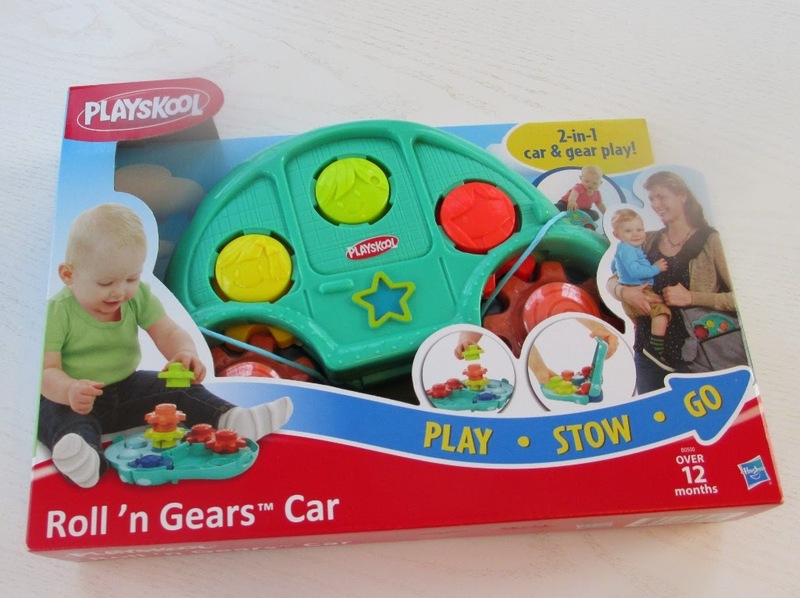 One of my favorites for baby/toddlers this year is the new Playskool Play, Stow, Go line. I saw the whole line (8 toys) opened in play mode and then easily collapsed and travel ready. After the presenter fully demonstrated all of these she invited an audience member to compete in a contest to reassemble and pack the whole 8 piece collection in a diaper bag. She had only seen the toys demonstrated once and she finished in a minute 35 seconds. They are reasonably priced and some are available now. All of these toys are great for visiting Grandma’s house and then a quick cleanup when Mom and Dad are ready to go home. Lightweight, fun and packable. Great new line from Playskool. Favorite Plush? 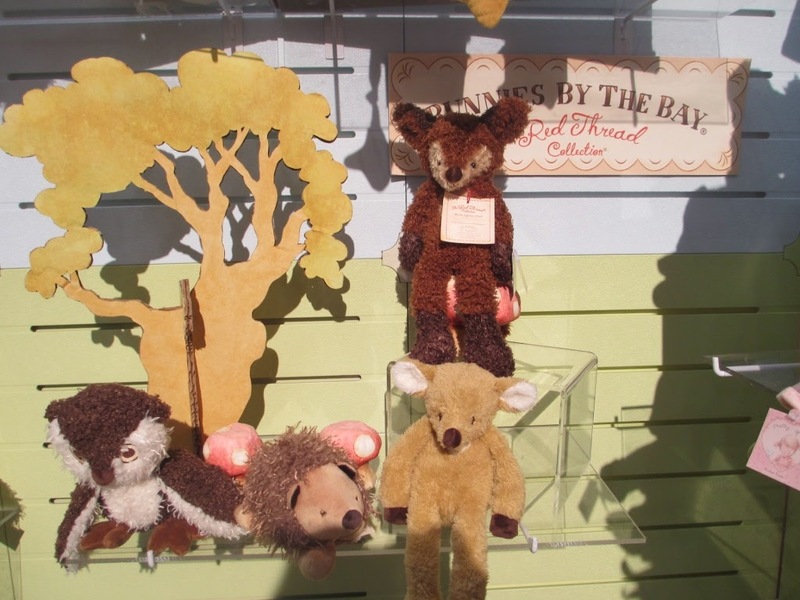 It’s gotta be one of these – The new Red Thread Collection by Bunnies by the Bay. They are soooo soft and squeezable. They could become one of those life long favorites. Available now! I always visit lots of doll booths and a must visit to see something special is of course, Madame Alexander. They did not disappoint but they did surprise. 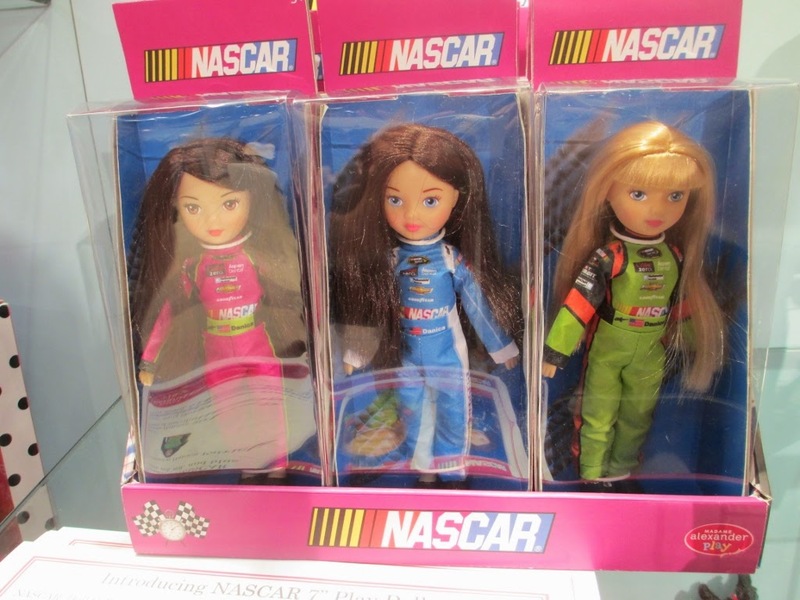 This year, Madame Alexander will be releasing these NASCAR themed dolls including a Danica Patrick doll. Even Madame Alexander, makers of the most classic dolls, is marketing to modern girls with this and female superhero dolls. Read more on this in a later post. 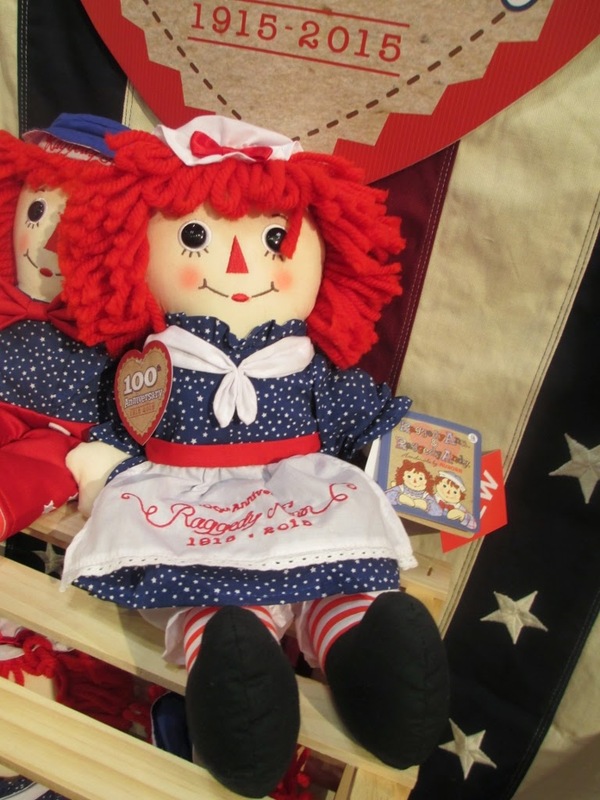 This is the 100 anniversary of Raggedy Ann and Andy and Aurora World is releasing this anniversary doll in red, white and blue. Note the 100th anniversary embroidery in her apron. Every child should have a Raggedy Ann or Andy doll and this very reasonably priced. I'll be posting when it is available. 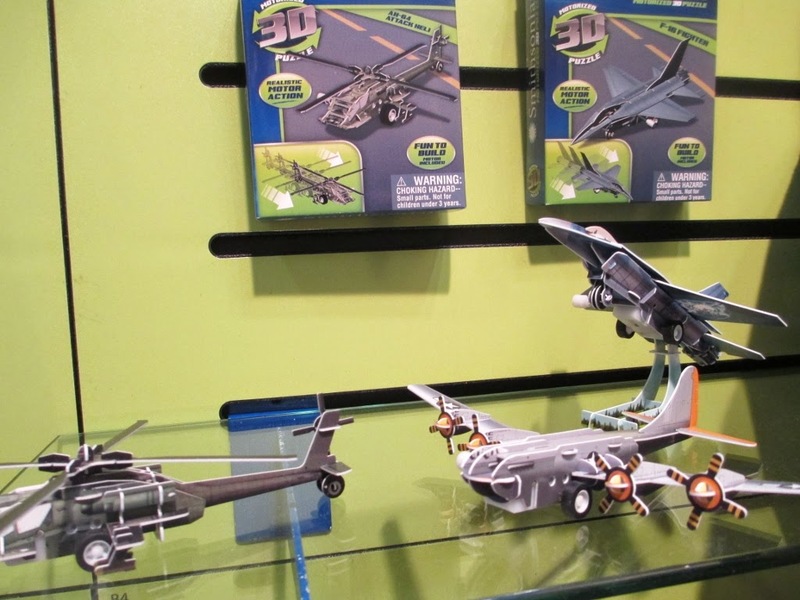 These small 3-d puzzles with tiny motors enabling the figure to move were the best value product I saw at Toy Fair. 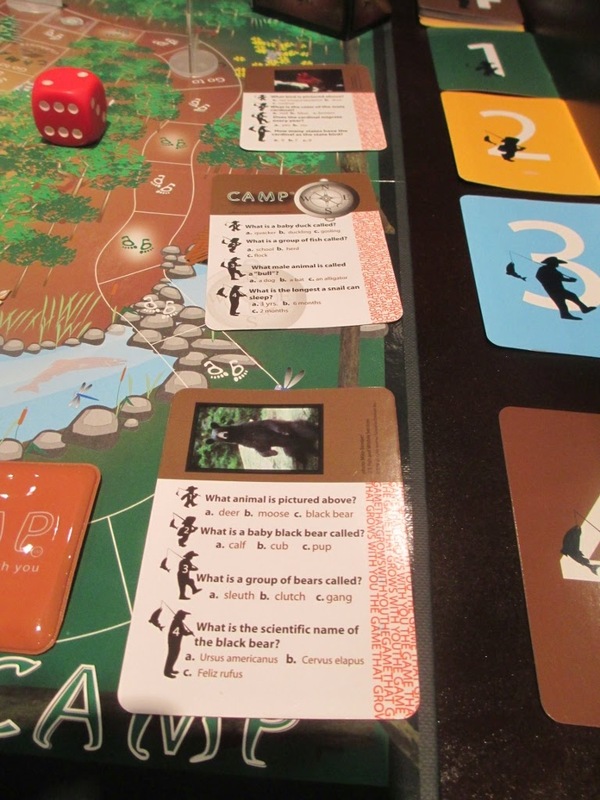 There are animals, vehicles and planes. With a retail price of just $4.99 each, they are perfect for grandparent/grandchild afternoon projects. 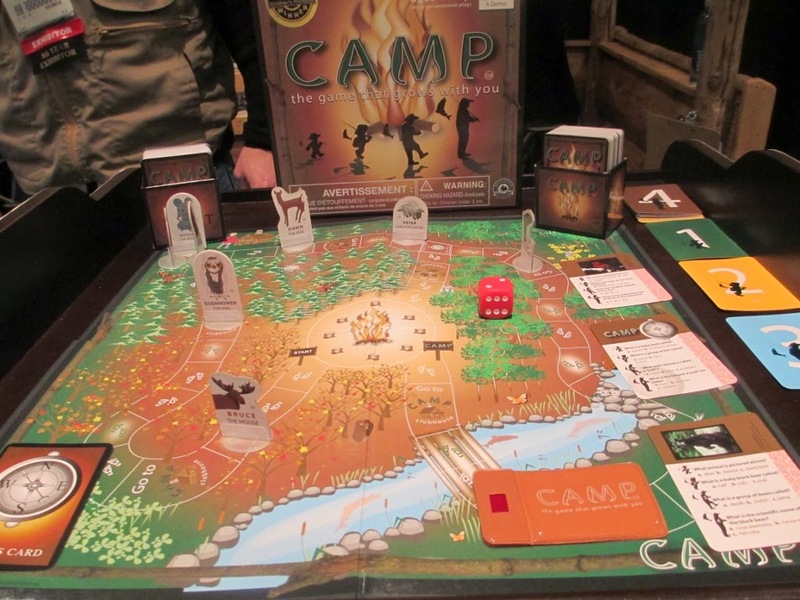 Nine of these are available individually at the skullduggery website and Amazon has 3 pack sets. 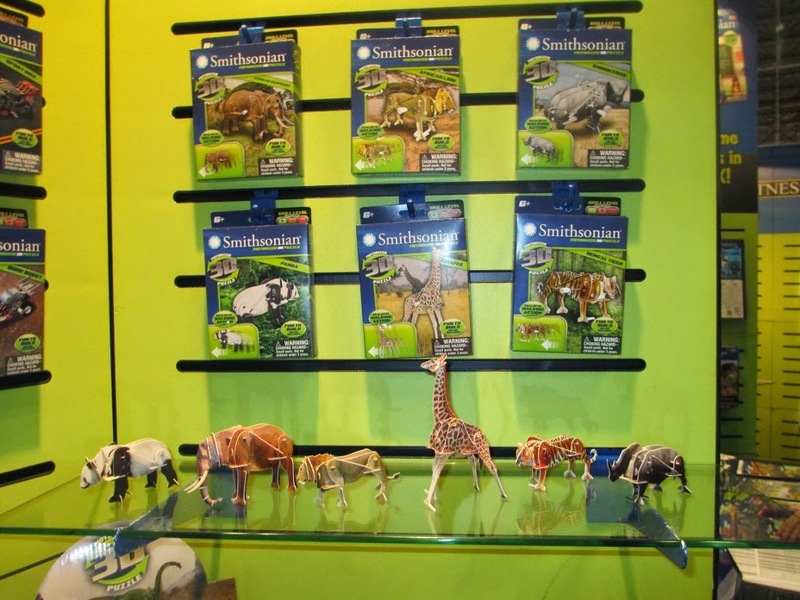 An additional series of jungle animals with be available in the Fall. The box says ages 6+. I think that is about right. Perfect for stocking stuffers and holiday grab bag gifts. 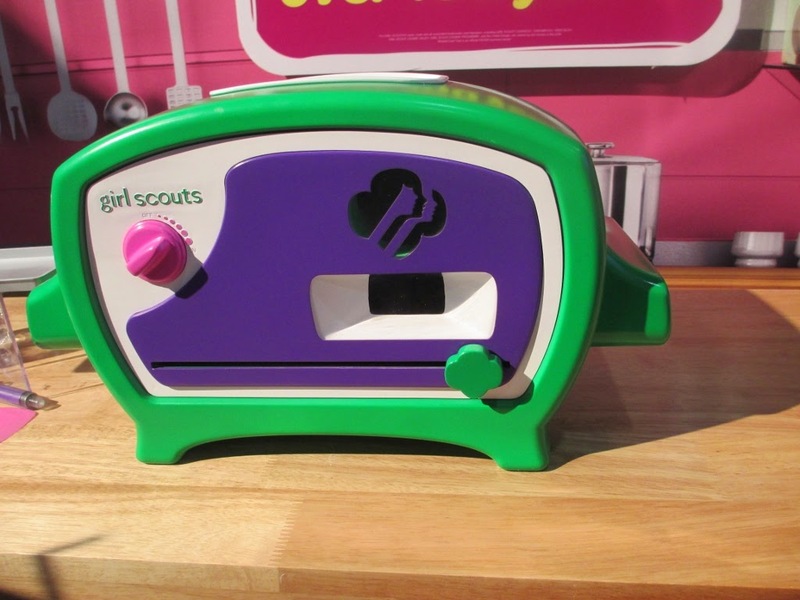 I have never been a big fan of toy bake ovens but this one is worth noting. It has a new modern, eye catching look and a new baking method to half the time needed to bake cookies in an oven for children. It is getting a lot of good press and I sampled cookies made in it and they were very excellent. 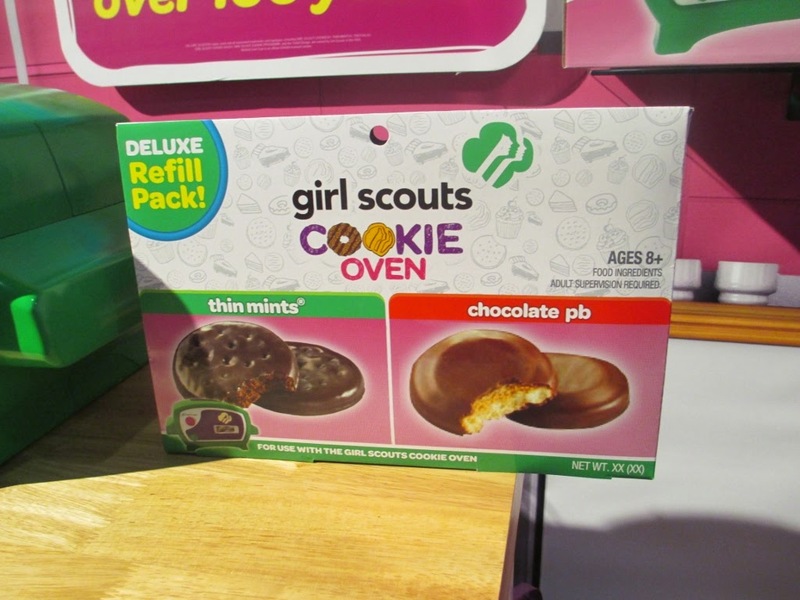 Of course you can get cookie mix in all of your favorite Girl Scout kinds - thin mints, trefoil, etc. This also was reviewed by kid reporters for CNBC and they gave it top marks. Best of all, a share of the price will go the Girl Scouts of USA. Look for this, a GS lemonade stand and GS wagon in the Fall. 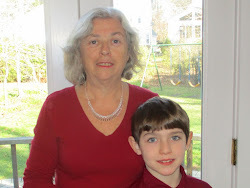 We have a monthly date with our five year old grandson. On the Saturday before the first Sunday of the month he comes to our place for a sleepover and then we go to the family church service on Sunday morning. My husband (Pop), Zach and I all look forward to this monthly event. 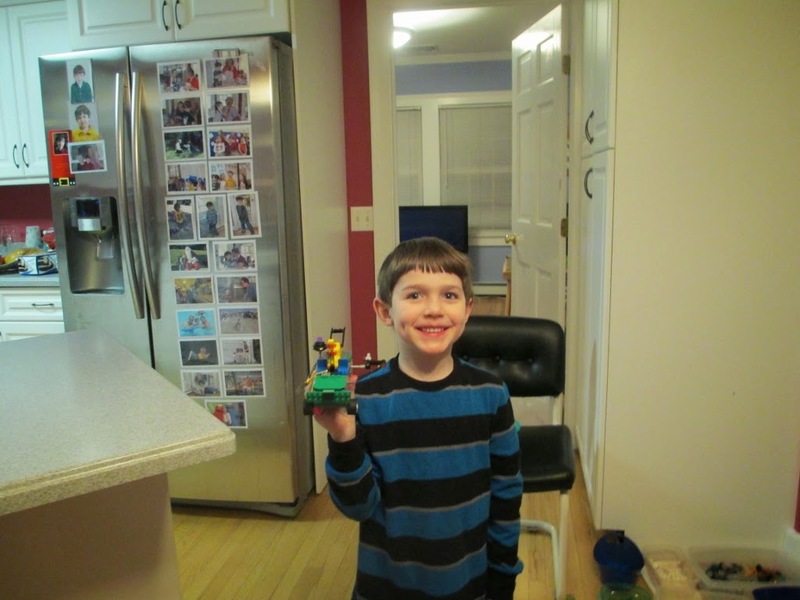 Zach is a super LEGO fan and has many sets but I guess like many kids all the pieces had been put in one large plastic container. He brought them to our house and the plan was to separate them by color and then just like Pop did with our son’s collection look up the parts list for each set and rebuild the sets. However, today’s sets have a zillion unique and some very small pieces and no parts lists for each set online. 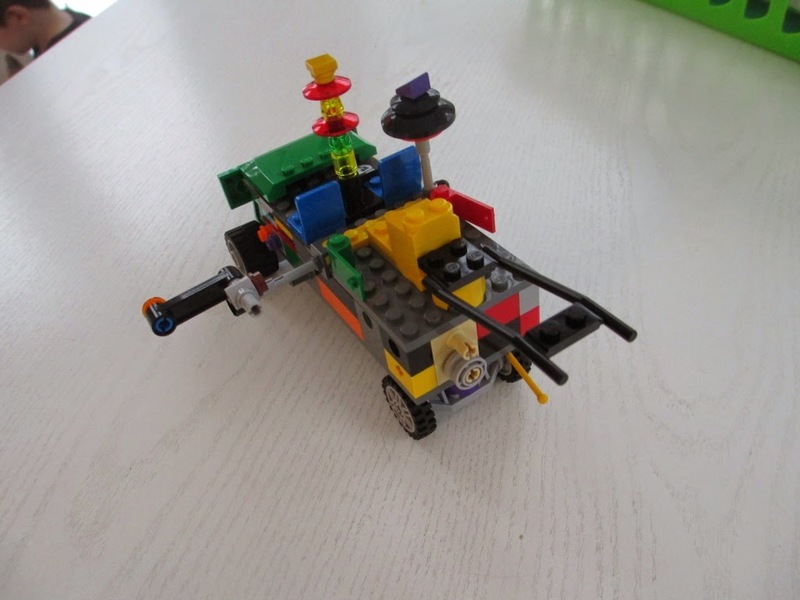 LEGO is cranking out new sets galore but they have given up on this feature of their documentation. Well we had a fun project and learned the value of keeping organized anyway and separated the pieces by color. The grey and black pieces needed sweater size boxes and we used different sized containers for other colors. 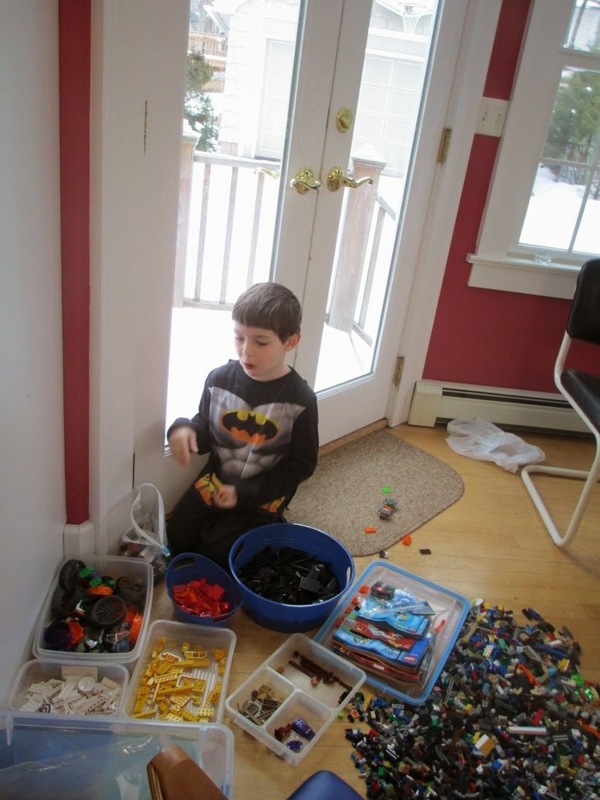 Zach took a couple of breaks from organizing to build his own LEGO creations – the best kind. Here is a Party Wagon. 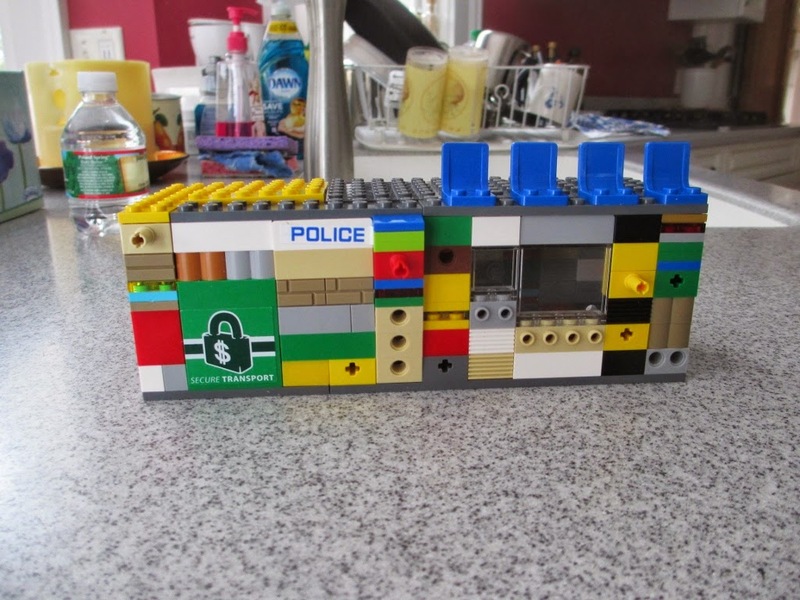 It has a canon to shoot soda and breath mints (on the right side). The transparent pieces facing up turn into flames for light and the other upward piece is a boomer. The rack off the back launches the fireworks. If you are interested in renting the party boar for your 4th of July party perhaps I can get you a good price. Next up is Iron Man – Tony Stark’s mansion. Zach did explain all the details to me but I can’t remember them as I really don’t know anything about Iron Man. A pretty eclectic mix. Batman to the Berenstain Bears – in that order. 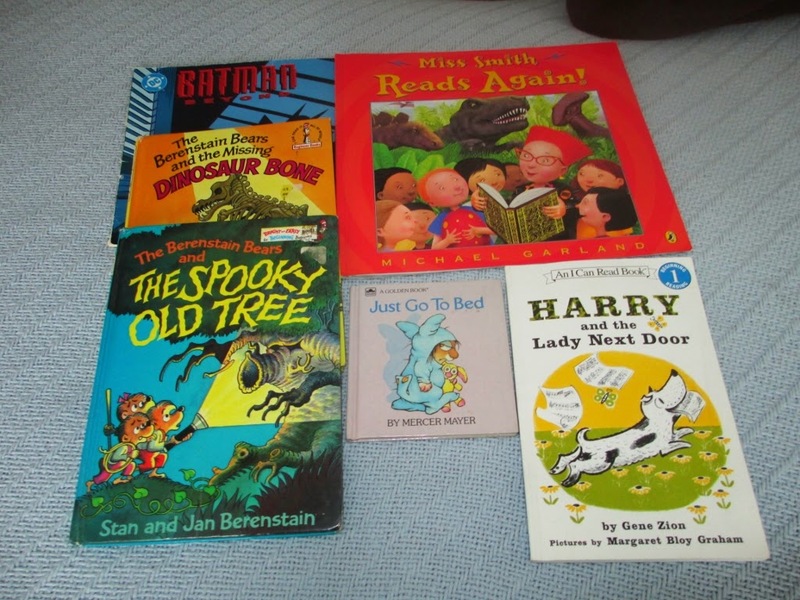 Followed up with two of my favorites – Harry and the Lady Next Door and Miss Smith Reads Again. Just Go to Bed is the perfect topper for bedtime. Zach and I were up early on Sunday morning and I made blueberry pancakes before we went to church. My son called to say he would be joining us and I had the pleasure of watching my son guide his nephew/godson in church and all of us receive communion together. He enjoys going up to the altar for the childrens’ sermons on these family service days and is well behaved during the service. I always bring a few small items to occupy his attention. He likes to sit on the aisle so he can see the altar. I think it is important to introduce children to our faith traditions. Everyone needs to make their own choices as an adult but having a church home and a grounding in faith, ethics and morals is important to me and I am glad that my daughter supports our monthly church visits. Zach always enjoys the time in our parish hall after the service too and then its time to head home to his parents. We’ll see him throughout the month for family dinners of after school visits but our monthly sleepovers are really special to all of us.